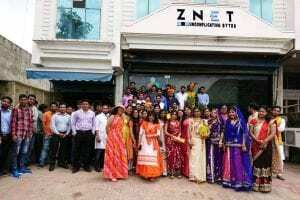 Feb 9, 2019 - RP tech India (rptechindia.com), one of the largest IT & Mobile distributors in India with branch & service operations in over 50 towns across the country with a broad portfolio of well-known vender brands, has acquired India-based web hosting and cloud services provider, ZNet Technologies. RP tech India will add ZNet to its portfolio and start offering ZNet's cloud services to potential SMB and enterprise customers in India. Feb 9, 2019 - Data Management Firm Komprise Raises $24M in Funding to Support Global Expansion - Komprise, a provider of intelligent data management solutions across clouds, has secured $24 million in Series C funding. The funding round, led by Top Tier Ventures while Western Digital Capital joins as a new investor, brings the total financing since inception to $42 million. The investment money will be used to boost the company's sales, marketing, product development and customer support – to expand global reach.